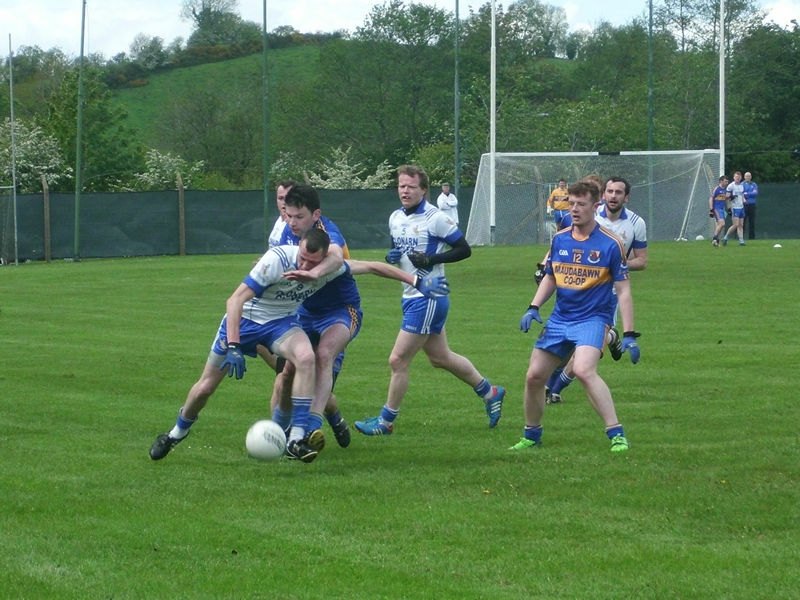 Drumgoon emerged victorious also in the B game, Despite playing with a strong breeze, Drumgoon trailed at half time on a scoreline of 1-8 to 0-7. However in the second half they got into their stride and had great displays from Francis Mahon and Conor Bates and Henry Reburn. Scorers:- Adam Bates, 0-10, Francis Mahon 1-2, 1Pt. 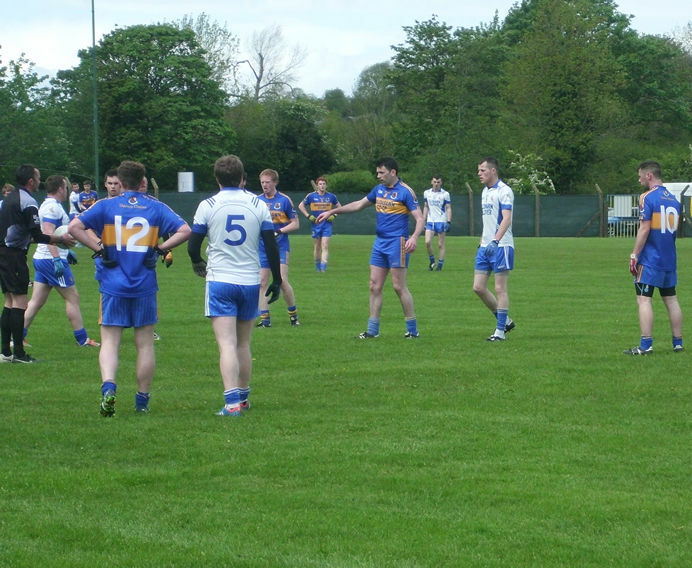 Each, Henry, Conall, Conor, Adam Crowe & Ian. 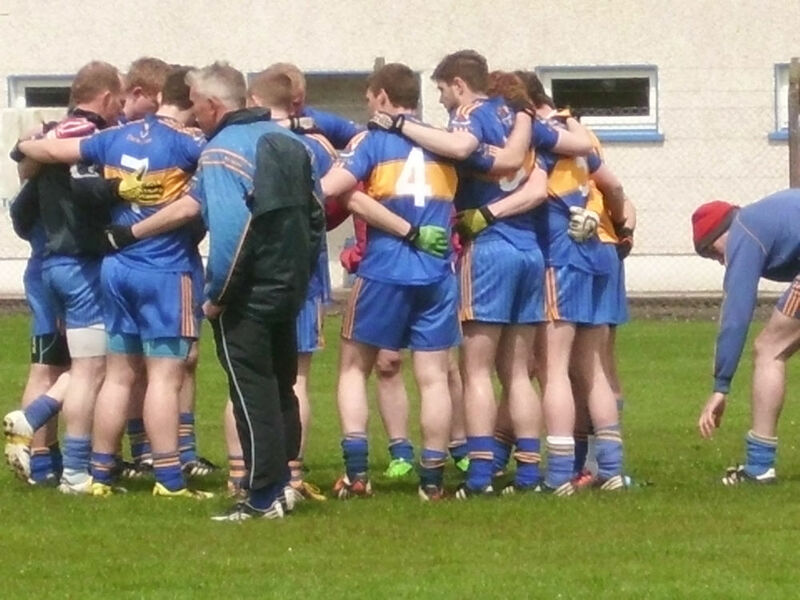 Team Manager, Philip Mc Dermott, listens in team captain, Edward Gaffney, rallies the troops.